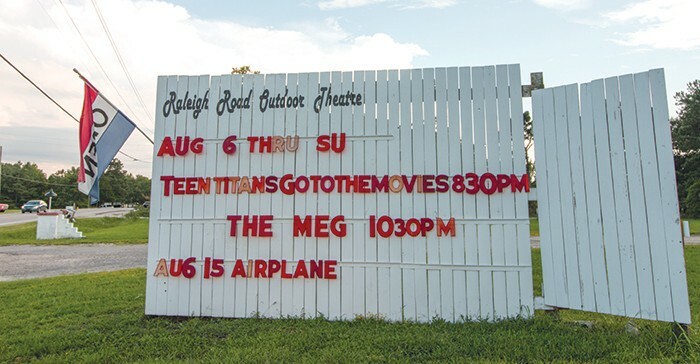 The Raleigh Road Outdoor Theatre sits beside the highway in Henderson, N.C. The original screen still stands from 1949, welcoming guests to the drive-in. In the summer of 1980, a nine-year-old boy sat on the tailgate of his father’s truck, staring starry-eyed at the screen of the Raleigh Road Outdoor Theatre as “Star Wars: The Empire Strikes Back” played. 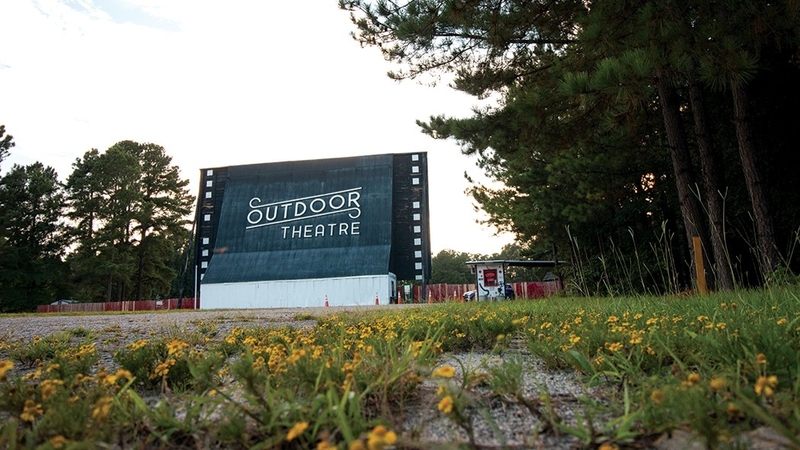 When previous owners left the Henderson, N.C., drive-in theater in poor shape and put it up for sale in 2004, Craig Askew, who was once that wide-eyed kid transfixed by “Star Wars” movies on the outdoor screen, decided to do something. 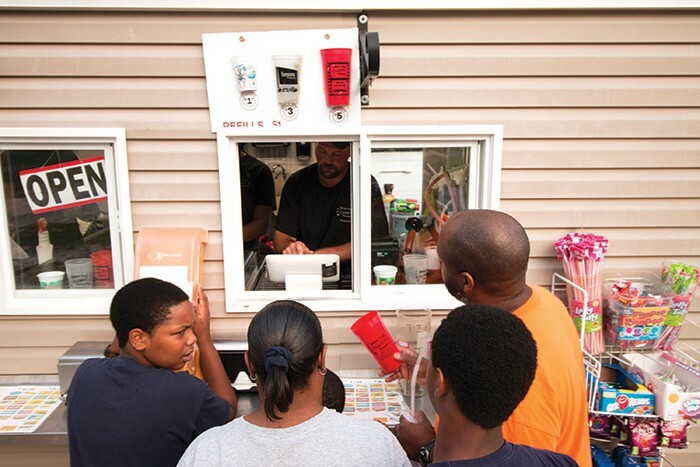 Craig Askew hands tickets to guests of the drive-in and ushers them inside. Cars are free to park in any available spaces, and the theater fits up to 256 cars. Askew contacted the new owners in 2005, and they hired him to help bring the drive-in back to life. Thirteen years later, Askew still works there, manning a little bit of everything, from the ticket booth to the grill. 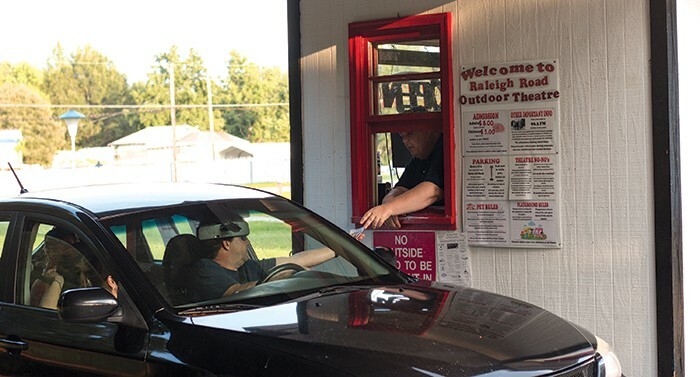 This year, the drive-in celebrates 69 years of operation, making it the oldest operating drive-in theater in North Carolina. When it opened, the drive-in was called The Moon-Glo Outdoor Theatre. In the 1970s the name changed to the Raleigh Road Outdoor Theatre. Now it’s one of six drive-in theaters in the state and one of 350 drive-ins in the country, give-or-take a few. Logan Boyd paints rainbows, as requested, on the faces of Brayden, top, and Lilliana, bottom. Face-painting, balloon animals and a bouncy house keep kids occupied while they wait for the movie to start. Aside from general maintenance, not much has changed at the drive-in. The Henderson theater still uses the same screen that was built in the ’40s. The only addition has been a new building where people can order food without missing the movie, and 4k digital projection. “We have the new technology, but we keep the old-school experience,” said Mark Frank, who owns the drive-in with his wife Jennifer. The Franks have been part of the drive-in since 2011. Just like Askew, Mark’s fascination with outdoor theaters began when he was a kid growing up in upstate New York. He said he’d rather see a movie outside at a drive-in than anywhere else. 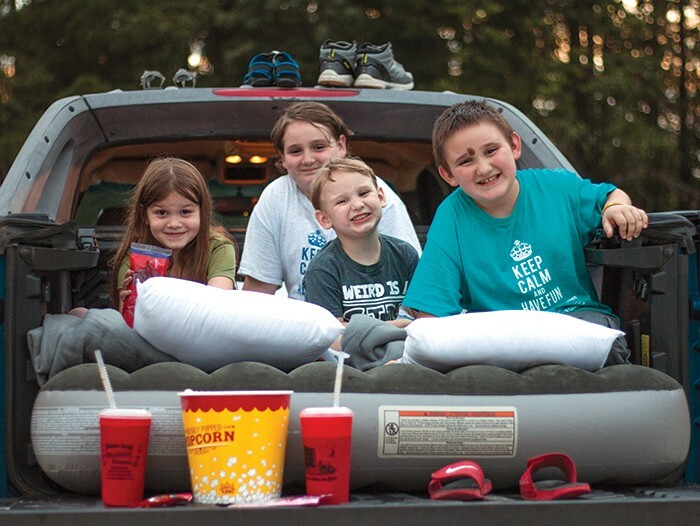 The Westbrook children sit in the back of a pickup truck that belongs to their dad, Dan, complete with a blow-up mattress, fuzzy blankets, pillows and movie snacks. For both men, the experience is what makes the difference. “It’s this cool thing, and there’s this vibe to it that’s chill and relaxed. 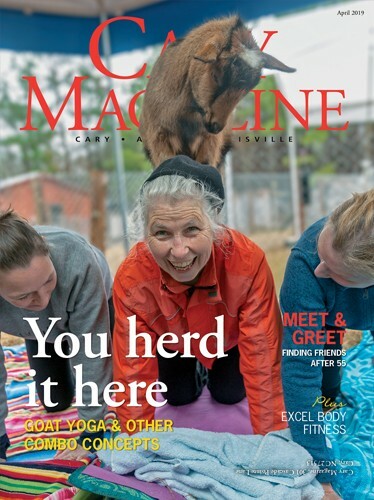 You don’t get that in a lot of other places,” Askew said. 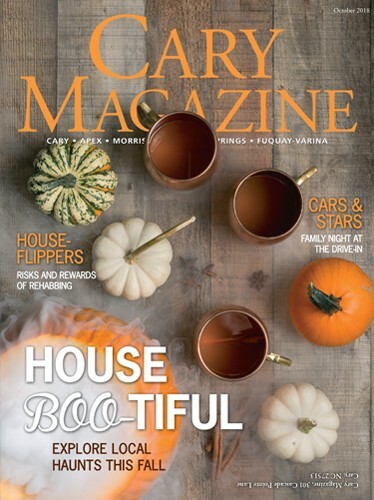 Every weekend, and select weeknights in the summer, the gates open and the cars roll in. The sun goes down, the stars come out and the screen lights up. Parents set up chairs, blankets and blow-up mattresses as kids play, couples snuggle next to each other and the smell of popcorn floats through the air. Before the feature film, owner Mark Frank projects previews on the screen. When the lights go down and the sound turns on, it’s a reminder for families to return to their cars to watch the movie. 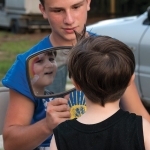 The Raleigh Road Outdoor Theatre plays new releases and old favorites. 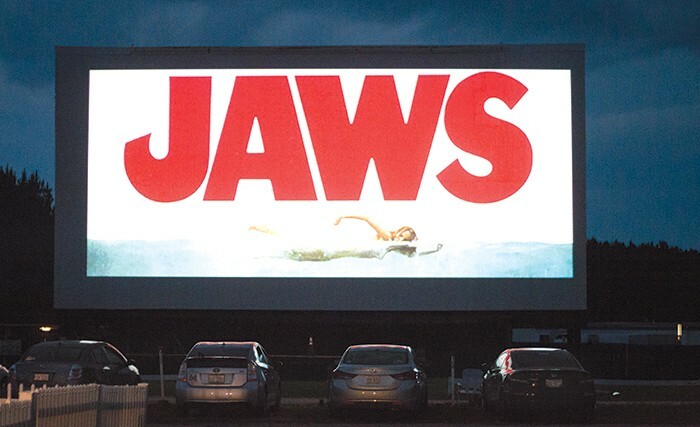 On Wednesdays, Thursdays and the weekends, the drive-in shows double features. Logan Boyd paints rainbows, as requested, on the faces of Brayden and Lilliana. 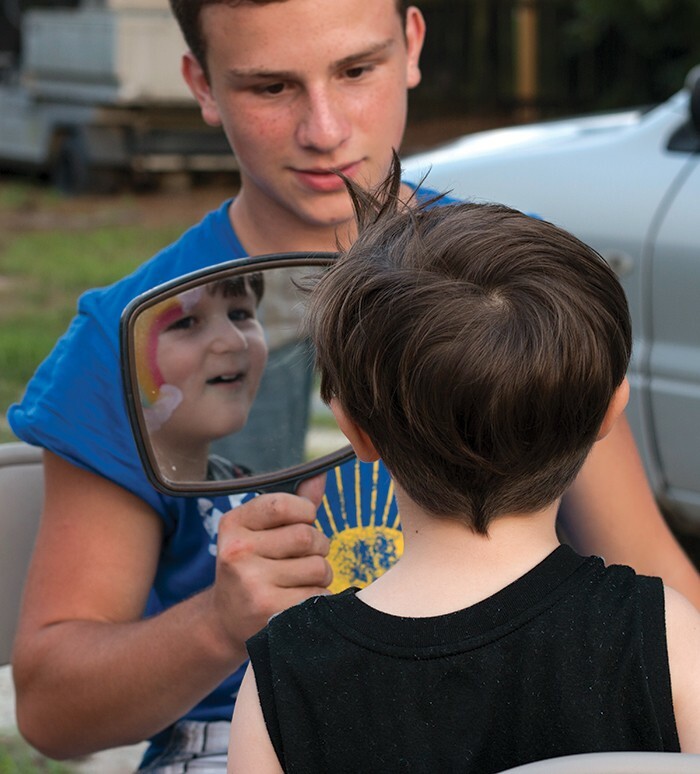 Face-painting, balloon animals and a bouncy house keep kids occupied while they wait for the movie to start. 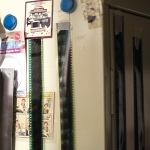 Until about 10 years ago, the theater projected movies onto the screen with rolls of film. 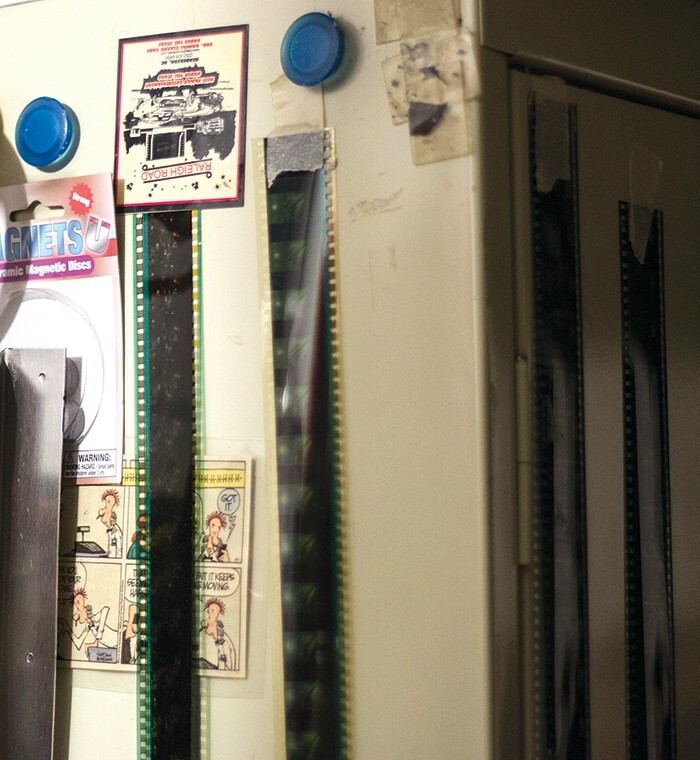 A few leftover pieces from iconic films like “The Hunger Games” hang in the projection room. 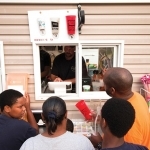 A family orders dinner at the drive-in before the movie begins. Raleigh Road Outdoor Theatre offers a full menu of traditional and deluxe movie snacks from popcorn and soda to steak sandwiches.